Intro to Trading: What are Technical Traders? 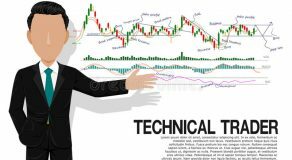 What Exactly is Technical Analysis? How Important Is the Dow Theory for Day Traders? The popularity of high-frequency trading has been on the rise lately, partially because of “Flash Boys,” a new book by Michael Lewis. In this article, we will explain (in layman’s terms) what high-frequency trading is, how it works, and why small investors can benefit from it. The first step will be to imagine a market with a number of small, individual investors. After that, we will see how large institutional investors can affect the market. The third step is to examine high-frequency trading, and after that, we will explain how it affects small investors. Let’s imagine a regular stock. Its price is somewhat stable, and there is a multitude of small trades. Some traders have gained a bit of profit from it, but now they believe its price is a bit high. Others saw the results and decided to invest in it. Some traders have been keeping an eye on it, and now, they finally have enough money to invest in it. Meanwhile, others are perfectly happy with it (they already own it), but they are in desperate need of cash. So, overall, the stock’s price seems steady, and there are many buy and sell orders coming. But, what if some of the small investors were actually large institutional traders? They take the same actions – they buy and sell – but the quantity is different. A pension fund or a large mutual fund might make an order, but it will buy a million shares instead of a hundred. Likewise, they also sell big when they decide to remove certain stocks from their portfolios. During the day, the large investors make orders, thus creating a lumpy pattern. But, in that case, we cannot notice a certain trend. Instead, the market goes either up or down, depending on the institutional order moves. It will require quite a bit of time to get the price back to the underlying trend line. So, who are HF traders? They are people who are trying to profit from price fluctuations, which are caused by large institutional investors. As soon as a mutual fund sells 1,000,000 shares, the price of the stock plummets. When that happens, HFTs jump at the opportunity. They want to buy the shares at a low price and sell them later when they regain their normal price. If, however, a pension fund purchases 2,000,000 shares, those same traders will want to short-sell the stock. Thus, they might be able to profit from the sale. 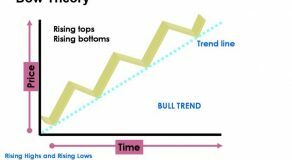 Short selling is a technique that requires you to ask a stockbroker to borrow the shares. Then, you can sell them and later purchase the stock so that you can give back the shares to the stockbroker. So, to understand HFTs, you must remember one thing. When the price surpasses a trend, the HTF will sell. Meanwhile, if it goes below it, that trader will consider buying. If they are successful at it, there aren’t many deviations. In any case, if there are some blips, they are usually short-lived and small. Thus, the HFTs can combat price volatility and fluctuations. Even though this explanation is rather simple, it’s vital to know that there is more to it than meets the eye. For starters, HFTs are quite common, and if you are not fast enough, some other trader will profit from an opportunity you missed. In addition, they cannot just follow one particular stock. Nowadays, HFTs are crunching an incredible amount of data about stocks, futures, options, bonds, and commodities. But, they cannot let themselves be caught by surprise. Thus, it’s crucial to evaluate every blip correctly, and they also have to be fast. 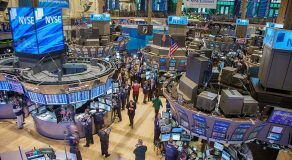 If there’s a downward trend in the whole stock market, the trader would have to buy a multitude of various stocks – and then watch the prices plummet even further. In the past, it was easier to trade like this. The HFTs had to be fast in order to capture all the trades. However, today there is far more competition. But, they aren’t competing against institutional or individual investors. They are actually trying to beat other HFTs. So, how does this all impact small investors? Well, there’s always a chance you’ll be unlucky. You can place a buy or sell order, and it can go either way. It may be a downward deviation or even an upward blip. But, are you really going to risk it? Probably not. You would want to take advantage of the underlying trend price. Furthermore, you have to consider the bid-ask spread. When there’s too much volatility regarding the stock price, the spread will be wider. The “bid” is the price investors are going to sell shares at. Meanwhile, the “ask” is the opposite – the price they have to pay for the shares. HFTs are there to narrow that spread. They do that by giving protection to the market makers and letting them hold their positions. Hence, without them, your trading costs would rise or stay the same. Instead, they get lower. Yes, high-frequency trading could be interpreted as mysterious and secretive. But, you cannot say that it’s all bad. Without it, the market wouldn’t be as efficient as it is, and small investors (those who trade whenever they want during the day) would probably fail. Nevertheless, there’s no need to feel sorry for them. After all, HFTs have made a lot more money than you. 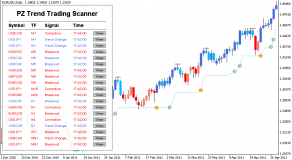 What is a Market Maker and How do They Make Money ? Techstocktrading.com, it's officers and all employee's are displaying this information for educational purposes only. 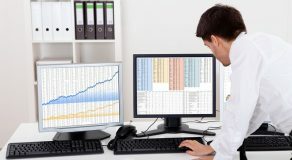 No one associated with Techstocktrading.com is a registered financial planner or licensed to trade on any stock exchange. This information is presented so that anyone who wishes may keep track of the gains or losses resulting from the methods used. No warranties are made on the results that these investments may generate and nothing on this site should be construed as a recommendation to buy or sell any of the stocks listed in any of the tables. Trading stocks is not an investment style suited to all people. There are considerable risk's inherent in trading tech stocks and loss of assets or total loss of principal are your responsibility. If, after research on all the equities listed in the tables on this site, you choose to use the information to take a position in one of the stocks, that decision should be discussed with your personal financial advisor or broker before taking any action. Past returns are not an indicator of future performance. Numinous by Rara Theme. Powered by WordPress.